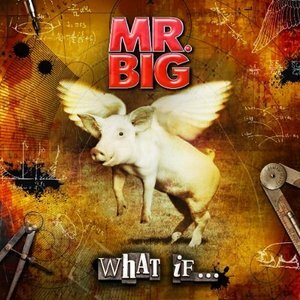 After last year’s excellent “Back To Budokan” Mr Big now present us with the first studio album since the reunion. 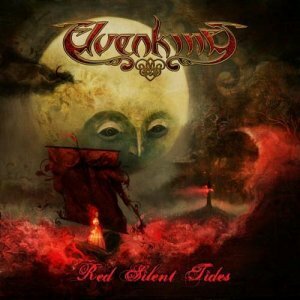 Opening track “Undertow” has all the typical Mr Big ingredients and sets the mark for the album. “American Beauty” is more up-tempo, referencing “Addicted To That Rush” if not quite so frantic.“Stranger In My Life” is an excellent power ballad. 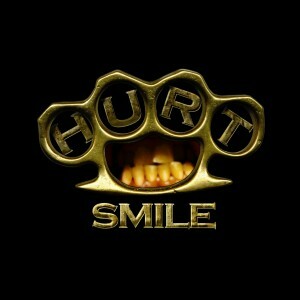 “Nobody Takes The Blame” is a slow paced grinder that sets us up for “Still Ain’t Enough For Me”, another fast track. “Once Upon A Time” and “As Far As I Can See” introduce more groove to the proceedings.“All The Way Up” is the second ballad, and it’s another good one. Surprisingly, “I Won’t Get In My Way” sees some odd rhythms sneaking in, and sounds more contemporary overall. “Around The World” takes it up a notch with arguably the most aggressive riffing so far. The album ends pretty much the same way it started. “I Get The Feeling” once again combines all the required elements for a Mr Big tune. Bonus track “Unforgiven” is just that, a very nice bonus on an already brilliant album. Obviously both the musicianship and production are beyond reproach. Billy Sheehan is a unique bass player who fills out the bottom while keeping things moving, allowing Paul Gilbert space to branch out with some spacious arrangements and of course insane lead playing. Pat Torpey is rock solid. Say what you will about Eric Martin, but his voice fits this music like a glove. The guys made a Mr Big album, for better or for worse. Rather than reinvent themselves, they’ve included all the expected elements in a tasty platter. Swagger, melody and virtuosity all combine to make this a very pleasing album. This entry was posted in Reviews and tagged Billy Sheehan, Eric Martin, Mr. Big, Pat Torpey, Paul Gilbert, review, What If. Bookmark the permalink. Formed in 1989, from the ashes of the pop rock combo Terraplane, Thunder went on a hugely succesful run in Europe and Japan on the back of the albums “Backstreet Symphony“, “Laughing On Judgement Day” and “Behind Closed Doors” in addition to these albums the band had excellent b-sides for singles with “No Way Out The Wildnerness” still being one of my favourite hard rock tracks ever. But then for some reason they changed, out went the traditional English hard rock values to be replaced with more experimental pop overtones that always seemed forced to these ears, also we said goodbye to the rock clothes to be replaced by designer gear which did not suit the music and only served to alienate fans including myself. So its with some relief that the last year or so have seen Thunder return and seemingly rediscovered what made them great in the first place. “The Magnificent Seventh” sees the return of the classic English hard rock sound that is home to strong melodies, great hooks and good riffs. Opener “I Love You More Than Rock N Roll” is typical Thunder fare and despite a good midsection only hints at the quality displayed elsewhere. However the Rolling Stones good time feel on the chorus will be sure to win more than few fans in the live arena. “The Gods Of Love” really sees the album get started with a psychadelic intro before blasting into prime Thunder territory with its irresistible chorus which sees Danny Bowes’ voice in fine fettle. Luke Morley and Ben Matthews are riffing with their distinctive trademark guitar tones and the old magic is well and truly alive here. The eastern tint on the riff of “Monkey See, Monkey D”o hints at the Led Zeppelin influence in Luke Morley’s arsenal of tricks and could easily have come from 1995’s overlooked “Behind Closed Doors” album. The chorus is classic Thunder and again this will go down a storm in the live arena. The track is further enhanced thanks to the inclusion of deft orchestrated touches. “I’m Dreaming Again” is a delicate track where the vocals of Danny Bowes tickles the senses and really allows the emotion in his voice to shine. The verse has a good quality before the chorus which will set the singles chart alive. The guitar solo here is also a nice addition to the emotional content on display elsewhere. Top 40 is written all over “Amy’s On The Run” which is home to a quality only British rock bands can reproduce. The chorus and bridge here are superb and infectious and Morley’s guitar solo is the icing on the cake. “The Pride” is home to a kickin riff from Morley and Ben Matthews that is again classic Thunder. 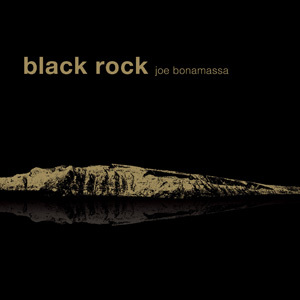 Bowes delivers a simple melody line for the verse but the chorus is another winner with his voice sounding as good as it ever has – arguably Britain’s best rock singer in the last 20 years. 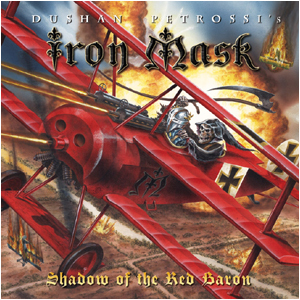 Amidst the hard riffing there is a moment of melodic intent in the excellent first solo and breakdown before the Les Paul attack kicks back in for another meaner solo – a highlight. “Fade Into The Sun” opens with a staccato figure not too disimilar to the Stones “Gimme Shelter” (which the band did a killer cover of btw), this then travels into a straigher rocking home with the emotional content high in Bowes vocals. The second verse sees the straighter rocking sound built on and when it moves into the chorus its a defining moment of the album. Another good solo adds more value to the track before the a bridge takes the track to a new level before going back to the intro riff, another highlight of the album. The musically mature “Together Or Apart” is home to some Free-ish overtones particularly on the verse, Bowes vocals ooze class again and this is another style in which Thunder excelled 10 years ago and proves they still have it. The track builds extremely well throughout its 6 minute running length and I can see this track taking on the classic status of tracks such as” Higher Ground” and “Until My Dying Day”. “You Can’t Keep A Good Man Down” is one of the goodtime rockers Thunder always seem to dish out, and its nothing overly special, the chorus is good but compared to some of the other material here it does come across as slightly weaker. “One Foot In The Grave” begins with a bluesy railroad overtone before the electric guitars kick in and is sure to make this another winner on the live stage. The solos are again very good – Morley has a distinctive style that is a mix of Joe Perry, Jimmy Page and Brian Robertson with an excellent melodic sense. Album closer “One Fatal Kiss” is another of the bands classic rockers, the verse is stronger than the chorus (the backing vocals are a little annoying) but generally its another of the weaker tracks on offer but by no means a poor way to end the album. 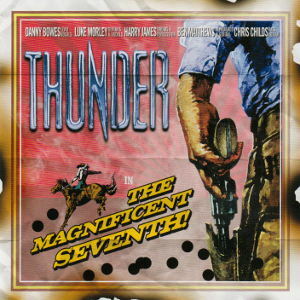 “The Magnificent Seventh” sees Thunder return in fine style and indeed picking up the baton from where they left on in 1995 with “Behind Closed Doors”. The music sounds honest again and indeed Bowes vocals are more at ease in this format – and excel. Luke Morley shows what a class act he is whilst the rhythm section of Chris Childs (bass) and Harry James (drums) create a very solid foundation that allows the track to take the listeners attention. They provide exactly whats needed in a Hard Rock context and allows Bowes, Morley and Matthews to really get the songs out there. There is a lot of very good material here and with a bit of luck Frontiers will get some singles out there as well as give a good touring budget. With a bit of luck I hope to see them at a venue near me soon. Hot Spots : Monkey See Monkey Do, The Pride, Fade Into The Sun, Together Or Apart. 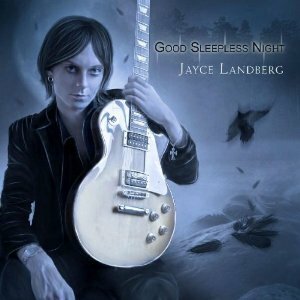 This entry was posted in Reviews and tagged Danny Bowes, Hard rock, Luke Morley, review, The Magnificent Seventh, Thunder. Bookmark the permalink. While their debut “Red Hot And Heavy” was something of a cult classic, I remember Pretty Maids from the quite good but rather commercial “Future World” album. Keyboard heavy, with a clear nod to Europe and other bands of the time. Pretty Maids always retained more of a metallic edge though, not in the least because of Ronnie Atkins’ gruff voice. The band has continued releasing albums on a regular basis, most of which I have to admit passed below my radar. After renewing my acquaintance with the band with the very good “Wake Up To The Real World”, I’m now presented with their new album “Pandemonium”. 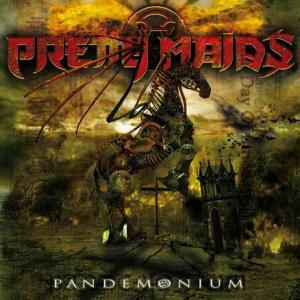 Pretty Maids have achieved the perfect balance between guitars and keys. There’s heavy riffs galore, yet the keyboard parts are a kind of master class on how to use this instrument in the context of a heavy rock band. Atkins’ voice may be something of an acquired taste though. Opening track “Pandemonium” is a bruiser. Keyboard heavy, yes, but heavy in all other respects as well! The band has managed to keep its sound current, yet still retains its own identity. Heavy guitars coupled to very perceptible keyboards and an easily identifiable singer. “Little Drops Of Heaven” illustrates this rather well. 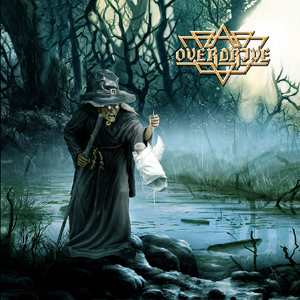 Some Teutonic metal influences have snuck in (“It Comes At Night” for instance), but never to the point where they’re disturbing. Think Sinner with more keyboards. “Old Enough To Know” and “Breathless” are classic semi-ballads. A strong album by anyone’s standards. This entry was posted in Reviews and tagged Pandemonium, review. Bookmark the permalink. I have to say I wasn’t impressed with Extreme’s comeback album, the rather bland “Saudades De Rock”. 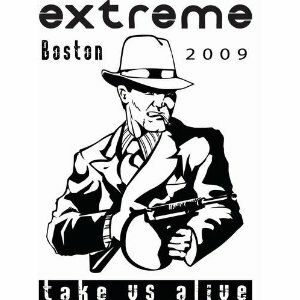 Of course, Extreme is one of those bands that shine in the live arena, and they have a barrel full of classic songs to choose from, so how does this new live recording hold up? As suspected, live the band delivers big time. Extreme’s funky brand of hard rock really hits the spot. The oft-maligned Gary Cherone is a good singer, the rhythm section rumbles like a tank and Nuno is one of the all time great guitar heroes. Song selection is well balanced, although I would have liked more from the debut, rather than just a medley. The hits are there, obviously. “Decadence Dance”, “Get The Funk Out” and, inevitably, “More Than Words”. The album sounds undoctored and organic, just a band rocking out. Not as polished as Mr Big’s “Back To Budokan”, but just as tasty. This entry was posted in Reviews and tagged Extreme, Frontiers Records, Gary Cherone, Nuno Bettencourt, Take Us Alive. Bookmark the permalink.